The Renowned Brand, Swarovski Crystals Will Make You Fall In Love! Perfect for any luxury project, the renowned Swarovski Crystals already is one of the most important references to interior designers all over the world. In fact, the Swarovski lighting presents stunning pieces which you probably will fall in love with. SEE ALSO: INDUSTRIAL STYLE HOME WITH AMAZING INDUSTRIAL LIGHTING! Scala Chandelier is one of the masterpieces created by Luxxu, poetically made, with the most beautiful Swarovski crystal, and the perfect details who combined a harmonious synthesis between classic and the contemporary. Another beautiful creative design is The Swarm Chandelier, by Zaha Hadid. Made with Swarovski crystals, the architectural lighting is the main star in the entrance hall of the Victoria and Albert Museum, in London, United Kingdom. This stunning chandelier is composed by 16,000 suspended black crystals, each painstakingly suspended by hand on individual wires. Swarovski lighting results in a modern design that combines a harmonious synthesis between classic and the contemporary, resulting in a stunning architectural lighting. Theatre Chandelier, created by Luxxu Modern Lamps, is an amazing piece made with these stunning crystals. The chandelier presents an exuberant form with its both classic and modern lines, combined with rich details and handmade materials. The lamp design is an amazing creation made with a casted brass finish and counts with 200 Swarovski crystals. 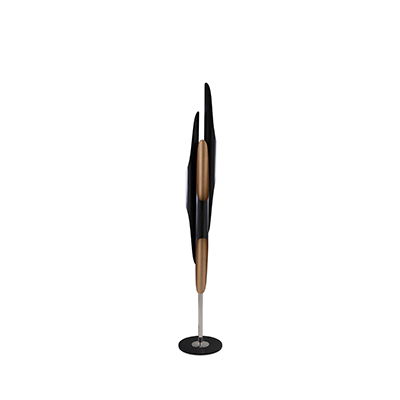 This amazing piece is a perfect illumination for every luxury space. With gorgeous classic lines and a modern attitude, the chandeliers evoke an ambient lighting full of elegance and sophistication, capable of involving everyone around in passionate emotions. Made of brass with gold plated and handmade butterflies and majestic flowers ending with the touch of beautiful Swarovski crystals. The wall version of McQueen Chandelier, this masterpiece causes a dramatic and eccentric sensation of beauty. 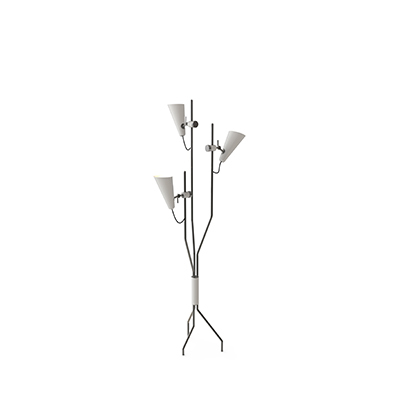 SEE ALSO: INNOVATIVE MODERN FLOOR LAMPS FOR YOUR HOME DECOR! This Modern House is Brimming with Mid-Century Floor Lamps! If You’re Looking for Mid-Century Lamps, LightForm Is The Store You Need!